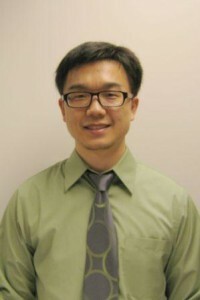 Dr. Yi Guo, MSPH, PhD is an Assistant Professor in the Department of Health Outcomes and Policy in the College of Medicine at the University of Florida. His current research is focused on eliminating health disparities, studying behavioral health issues, and the environmental and social determinants of health in low-income populations. He has extensive experience collaborating with social and behavioral scientists, health professionals, and health policy experts on the design, coordination, and analysis of community-based research projects on health behavior. He has strong study design, data collection, and analytical skills in quantitative and qualitative research, including large and small-scale surveys, multivariable and multivariate regression modeling, as applied in multilevel and longitudinal settings. Dr. Guo has provided statistical consultation and support throughout the writing of the GLIMMPSE 2.0 beta manual. He also helps with other statistical aspects of the SampleSizeShop project.